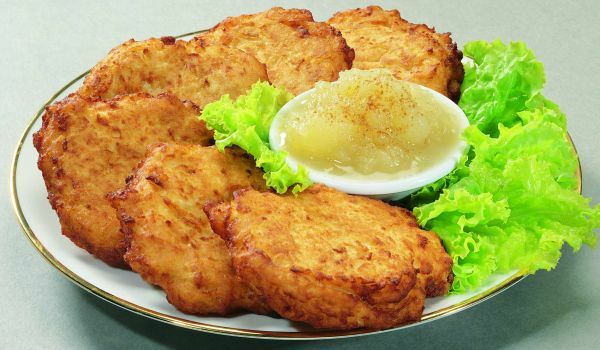 Potato pancake are fried pancakes made with potatoes, onions and flour. A typical American snack this dish is extremely easy to make and very satisfying for the pallet. Once starch has settled, pour water off and you can add starch back to potatoes. Fry until it gets golden brown and drain on paper towels.